The sun is a fiery orb—a star that has a mass 330,000 times that of the earth. It generates energy by nuclear fusion of hydrogen into helium, fusing 620 million metric tons of hydrogen each second, and that energy travels in every direction. A tiny portion of it reaches the Earth as sunlight where it warms our planet and gives us energy. In fact, all life on Earth is ultimately dependent on the power of the sun, carried by sunlight, part of which is visible and part of which is invisible. Part of that sunlight is known as ultraviolet light (UV). UV is a light that is invisible because its wavelength is shorter than the violet part of the sunlight spectrum. UV is available year round in the tropics and during part of the year farther north and south. UV is also produced by sunlamps. 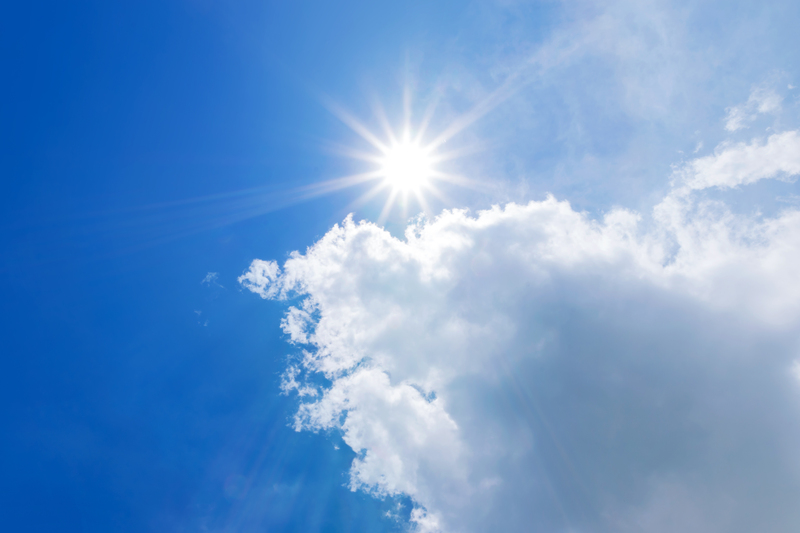 There are three main varieties of UV: UVA, UVB and UVC. UV wavelengths are measured in nanometers (one billionth of a meter). UVA has a wavelength of 380-315 nanometers and when contacting the skin can penetrate beyond the outer layer (epidermis) into a layer called the dermis. UVA does not stimulate vitamin D production. UVB light has a wavelength of 315-290 nanometers and penetrates only the epidermis when it contacts the skin. UVB stimulates the skin, which then produces vitamin D.
UVC light has a wavelength of 280-10 nanometers and is filtered out by the Earth’s outer atmosphere. It is an invisible part of the solar spectrum. Of the three types of UV, we are most interested in UVB, which stimulates the production of vitamin D when it contacts the skin. Ninety percent of all vitamin D in human beings is produced by sunlight exposure, and in my book, Vitamin D3 and Solar Power, I discuss approximately 105 diseases that correlate to a deficiency of vitamin D.
Although some vitamin D can be obtained through fish, eggs, mushrooms and other dietary sources, the amount is miniscule. Vitamin D is also available through supplementation, which is also produced by the irradiation of lanolin by UVB. The only truly natural way to obtain vitamin D is through exposure to sunlight or other UVB sources. Remember that when you are enjoying the light produced by our friend, the Sun, do it safely; never burn, and check with your physician for advice on sun exposure. Woolfson, M (2000). “The origin and evolution of the solar system”. Astronomy & Geophysics 41 (1): 1.12.